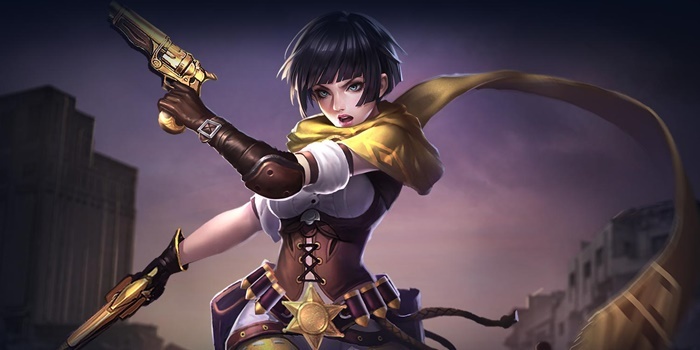 Violet Item Builds Guide for Arena of Valor (AoV). Each build is geared toward a different play style, so choose one that fits your personal preference. These items are necessary in order to play Violet optimally. Only diverge from a core item if you are a very experienced player or you have a very good reason for doing so. Claves Sancti Claves Sancti is an essential item for Violet. It drastically raises her chance to critically strike, making her Tactical Fire even more deadly. In addition, it has a pair of unique passives that can be invaluable to the marksman. The first can add to her nimbleness in team fights, giving enemies a hard time catching her. The second raises the damage that each critical strike does, making them much more devastating whenever she manages to land one. Frost Capeor Omni Arms Ah, if only these two passives stacked. Omni Arms provides a ton of useful stats to Violet while Frost Cape provides cooldown reduction and somewhat less-useful armor and HP. However, the ability to slow opponents from extreme distances using Tactical Fire can spell death for an opponent trying to escape or provide you with an opportunity to run away yourself. Then again, the extra damage on Omni Arms’ passive can’t be overlooked either. In the end, the decision between these two great items often comes down to the opponents’ composition and/or your personal play style. Fenrir’s Tooth Violet is already a bursty marksman with her abilities, but adding Fenrir’s Tooth adds even more killing potential to her abilities. This item increases her damage to enemies low on health, making her great at cleaning up at the end of fights. Rankbreaker Rankbreaker is a great way to pierce through enemy defenses. It offers a flat amount of armor pierce that scales with the holder’s level, allowing more of Violet’s shots’ devastating force to hit the enemy directly. It additionally provides the marksman with additional movement speed when out of combat, allowing her to quickly move between the lanes in search of ganks. Mr. Stabby Now that Soulreaver only grants a passive to melee heroes, Violet is a bit hard up for jungle items. Her best bet is to grab Mr. Stabby for the attack damage stacks and selling it later in the match. Muramasa Muramasa is needed when the opposing team is stacking armor. As the item cuts a way a percentage of the target’s armor rather than a flat amount, it is particularly effective against tougher foes like tanks or warriors. Bow of Slaughter Violet can use Bow of Slaughter’s active effect with Tactical Fire to quickly recover large amounts of health. This can pick her back up from a rough fight and be the edge she needs to push into a victory. In addition, the item offers both attack damage and critical chance-a deadly combination. Flashy Boots Given her reliance on Tactical Fire, cooldown reduction can be a very valuable stat to Violet. As such, Flashy Boots can be her preferred boots upgrade if lacking cooldown speed in other items in her kit. War Boots While she doesn’t need much in terms of attack speed, a little can still result in a few shots in between Tactical Fire uses. War Boots can be a nice offensive alternative if using a build that naturally hits the 40% cooldown reduction cap. Gilded Greaves As reliant as she is on mobility, Gilded Greaves can be necessary if the enemy team has an abundance of control abilities. Being able to slip out of stuns and slows can be the difference between life and death in a lot of fights. This build pumps up Violet’s raw damage to make her Tactical Fire shots devastating each time they are used. The critical chance provided by Slikk’s Sting and Claves Sancti will cause a large number of her shots to critically strike and rip through the enemy’s health. You can substitute Muramasa with other offensive items like Rankbreaker if the enemy team doesn’t have much armor to deal with. Violet can do exceptionally well in the jungle, Tactical Fire giving her a rather impressive clearing speed. As she doesn’t benefit much from attack speed, Violet will have to rely on Mr. Stabby early. Later in the game, this should be sold in exchange for something like The Beast or another Fenrir’s Tooth. She takes the common picks of Claves Sancti, Fenrir’s Tooth, and Omni Arms afterward to pump up her damage as she moves from the jungle to start helping in team fights. If getting regularly targeted by the enemy team and burst down to nothing as a result, this build can give Violet some additional survivability. She maintains some damage, Claves Sancti and Slikk’s Sting still present to increase her normal attack potential, but other, more aggressive items have been replaced with Frost Cape and Gilded Greaves. Bow of Slaughter can be used for a moment of dramatic healing in the heat of fights as well, giving Violet some additional options for survival. 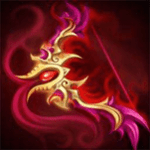 We finish the build with Fenrir’s Tooth to ensure that she doesn’t trade too much damage for survivability. Whats max damage build for violet? Whats max damage level 30 arcana for violet? Can any admin pls help?